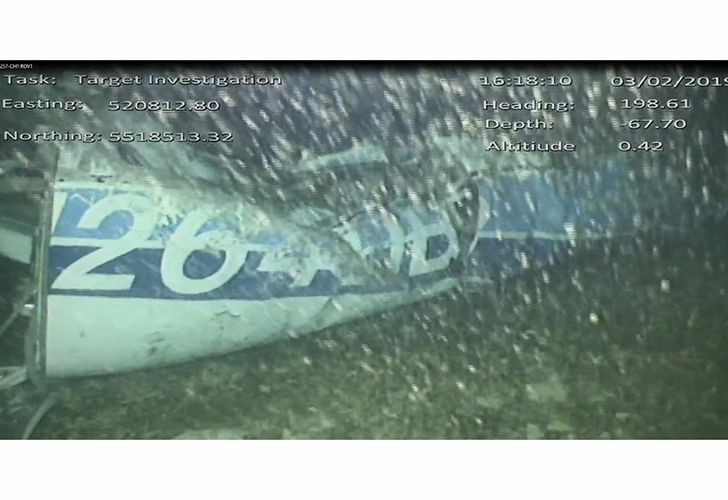 The wreckage of a plane carrying the Argentine footballer Emiliano Sala was found Sunday night, two weeks after its disappearance. Shipwreck hunter David Mearns, who was hired by the striker's family after the official rescue effort was called off, said the plane was found on Sunday morning. "It is broken but most of it is there," he told BBC radio. A spokesperson for Britain's official AAIB told AFP: "I can confirm it has been found." A further statement is expected later on Monday. "They dove with their remotely operated vehicle, that's a submersible with cameras and lights, and indeed confirmed that it was the plane," he said. "They saw the registration number and the biggest surprise to both of us was that most of the plane is there." Asked then if the bodies of Sala and the British pilot, David Ibbotson, would be inside, he said: "That's a possibility." The family hired Mearns after the official rescue team gave up their search, saying there was little chance of finding anyone alive. "This is about the best result we could have hoped for the families," Mearns told Sky News. Top footballers were among more than 4,500 contributors to a crowdfunding page that raised over 300,000 euros (US$343,000) to look for the wreckage. Programme notes, penned by owner Vincent Tan and the rest of the Bluebirds' board, said events had shaken "Cardiff City to its very core."